SAN FRANCISCO (KGO) -- A baby sea lion was spotted on the lower Great Highway in San Francisco on Monday. 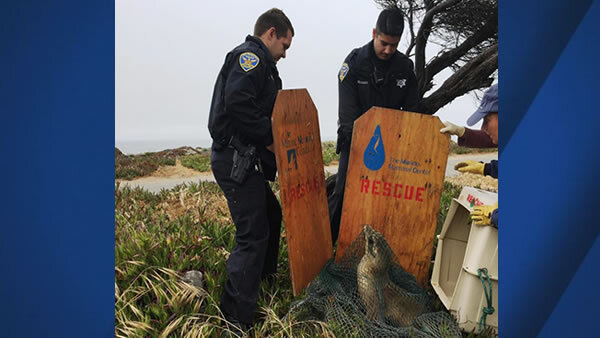 San Francisco police and the Marine Mammal Center responded and helped get the sea lion home safely. For more stories about animal rescues, click here!